Invaders Annual #1, Marvel Comics, 1977. Over the past couple of years I’ve written way too much about how comic book covers have enjoyed a growing influence on comic book values. I’ve noted that graded comics essentially become postage stamps or post cards to be collected and admired for their beauty, subject matter and condition. Nothing new to report here other than to update you that the trend continues. I don’t think there’s a better example of this principle in practice than Suspense Comics #3. 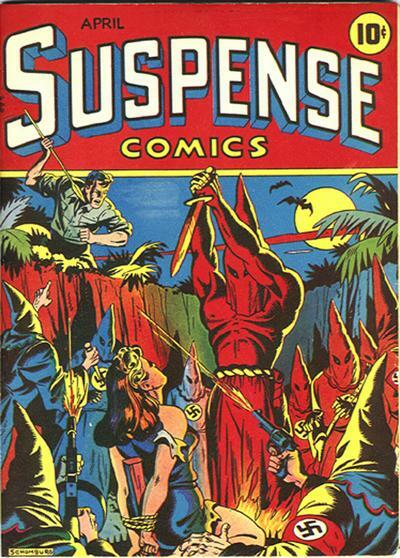 The classic Alex Schomburg cover to Suspense Comics #3 has become THE cover. It’s value doesn’t really make sense when you look at it as a single issue but when you realize the whole collecting community has added the weight of all covers on this one you start to understand. It’s kind of like the tourists running past the Goya’s to get a glimpse of the Mona Lisa. I’m in no way comparing Suspense #3 to the Mona Lisa but I am saying they kind of work on the same relationship plain within their collecting communities. 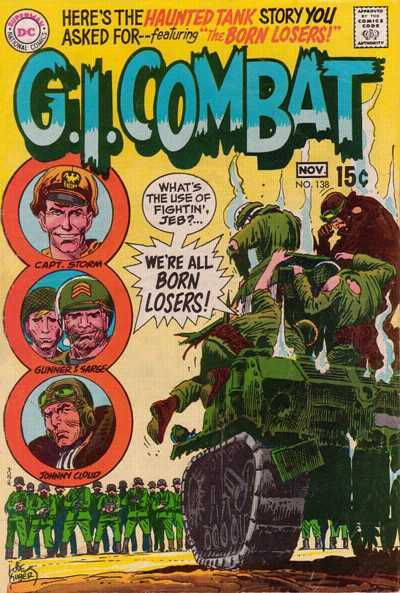 Alex Schomburg was a prolific cover artist in the Golden Age of Comics, his Timely war covers are celebrated and highly sought after by collectors today. “A Schomburg cover” has become synonymous with quality and desirability. 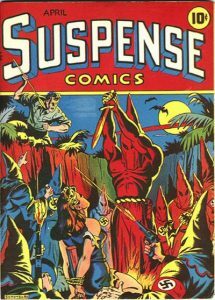 I don’t know anybody that can afford a nice copy of Suspense #3 and many of the other classic Schomburg covers of that era are moving out of reach for most of us very quickly. 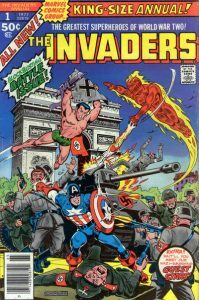 Some stellar Schomburg covers recently garnered record prices on the online auctions (I bid and wasn’t even close on 2 I really liked including a Startling Comics #49) and their results inspired this week’s Undervalued Spotlight pick, Invaders Annual #1. Invaders Annual #1 from 1977 features the 1st Marvel Schomburg cover since 1947 and what better subject matter to hand over to the then 72-year-old master than Captain America, Human Torch, Sub-Mariner and Nazis! I read that Stan Lee compared Schomburg’s Timely covers to Norman Rockwell’s Saturday Evening Post covers – that’s some high praise. So yes we can own a beautiful Schomburg cover and we can own one in high grade. CGC 9.4 copies are only selling for over half the 9.2 Guide price, you can pick up a CGC 9.6 for just over the CGC 9.2 price. Peanuts. I think Invaders Annual #1 can and will enjoy some newfound demand as the importance of and the myth surrounding Alex Schomburg’s art continues to grow. The 47th Overstreet price break for this book is $31/$53/$75 in the 8.0/9.0/9.2 grade splits. Great pick Walt. I didn’t know about the interior Torch story. Isn’t this book Schomburg’s last work? It has been on my list for a while; I should now make it a priority since you just lit it on fire! Walt, I agree with this pick for the reasons you cite. I don’t know if I am going to put my money where my mouth is, but if so I think I will pay up for a CGC 9.8 white. While you are right that 9.6s are cheap relative to 9.2s, if this ever moves, of course the 9.8 whites will show the greatest appreciation until they hit the (far away) ~1k price point. Space is at a premium for me, so even if the 9.6s show somewhat more of a price appreciation, having two or three 9.6s versus a 9.8 is not good for me. On the other hand, if you just like the book, I think a really nice ungraded copy is probably less than half guide. I checked the database and indeed I have the copy of this book that I bought on the newsstand (and really on the newsstand) in my long box of worthless oldies. 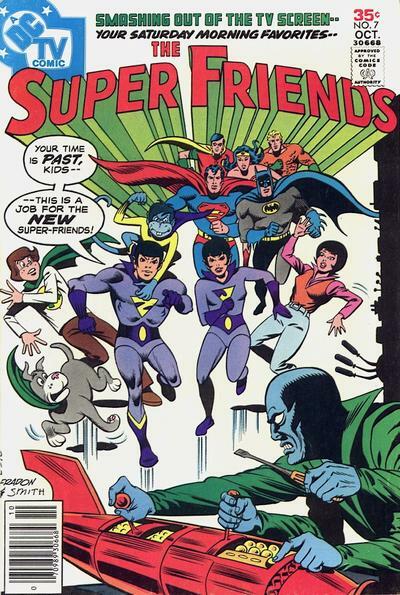 Of course that copy is well-loved – I remember loving this book and The Invaders in general, as they were more “DC-like” in their simplicity (“destroy the Narzis!”). I indulged this love last year by picking up a 9.6 of Undervalued #1, which I guess is still undervalued as it hasn’t moved much since 2010. Maybe the tail will wag the dog, and a huge run-up in Invaders Annual #1 will pull along Avengers #71. Wow. Great pick Walt. I had no idea that this was Schombergs first cover since the golden age. The subject matter, art and style are all amazing and definitely lead up to what is bound to be a great pick. Now I just need to find one! Awesome pick this week. Like the pick. 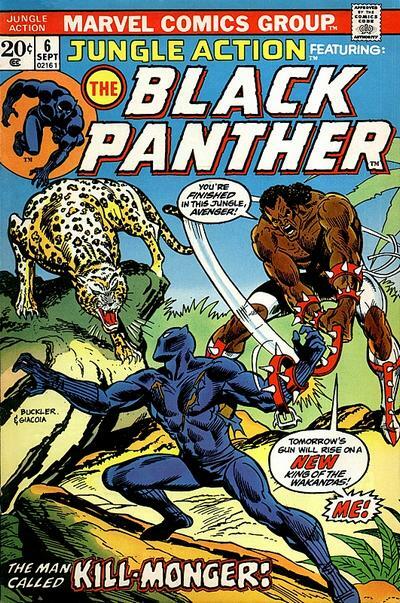 Always been a fan of Schomburg covers. When I found out about this one years ago I picked up a solid raw NM copy for about $20 since I may never own a golden age cover of his. Nice to see some Schomburg fans fans out there! Readcomix – I think it is his last work but couldn’t confirm before my deadline last night (read that as I got sleepy and had to go to bed). Chris – I think you are right about the 9.8 White and I’ll add that it should be one with a perfect square spine and an exact register, I don’t like my 9.8s to be crooked or mis-bound, something CGC seems a bit to lenient on.